In 1984, Kyle Reese protected Sarah Connor from a terrifying cyborg that would stop at nothing to terminate her. In 1985, Skynet targets Biotechnician Elise Fong, who is destined to discover a vital weapon against the Terminators, but this time there is no resistance fighter sent back to stop it! Targeted for actions in her future, Fong's only hope in the present is ex-CIA operative tasked with kidnapping her! 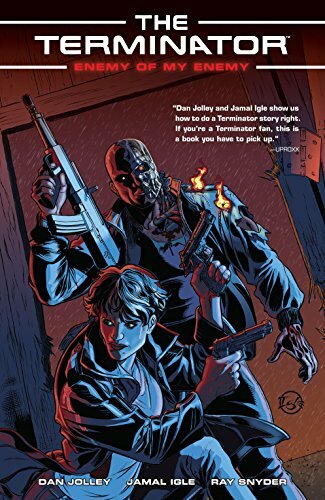 This action packed volume collects issues #1-#6 of the thrilling series Terminator: Enemy of My Enemy!